Your brand is an important part of your organisation’s identity. Adding your logo and other branding to your team’s polos, jumpers, fleeces and jackets will raise your company’s profile. Choose from our great range of quality work clothes and create your own custom designed work outfits for your team. Using embroidery to stitch your logo into your work gear gives it a touch of class. 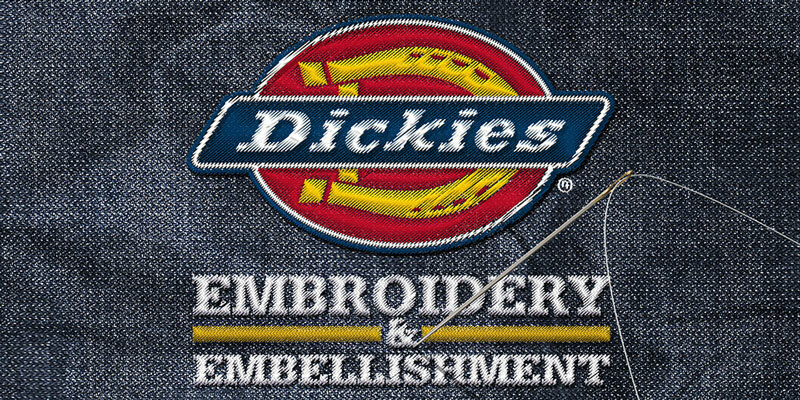 Add value to your workwear with our custom embroidering and stitching service for your logo and branding. We stock a wide range of high quality workwear brands like Uneek, Fruit of the Loom and Premier. We also specialise in hard wearing work clothing for construction and other outdoor work from great brands like Dickies and Portwest. We can supply you with any work outfit, from personalised polo shirts to the full kit for construction work - reinforced jackets, trousers, boots, gloves and hats. Choose from trusted brands and personalise your work apparel with embroidery to make it your own. Scotland has lower temperatures than the rest of the UK. Thermal insulation needs for embroidered workwear vary between the North Sea and the Atlantic coasts, given western Scotland’s milder climate. The Highlands have heavier rainfalls and snowfalls, which call for higher levels of weather resistance in embroidered workwear. Each Scottish economic sector also has specific requirements; technology firms in Edinburgh or Glasgow, the oil and gas industries of Aberdeen or agriculture and brewing across Scotland demand different embroidered workwear. At PPE, we provide a wide range of embroidered workwear to accommodate the needs of different activities and weather conditions. We supply businesses and other organisations across Scotland with all kinds of workwear. You can rely on us to ensure the quality of your work clothing order. Purchase individual items or kit out your whole team with custom uniforms. We also supply sports teams and other community organisations with embroidered clothing for their squad. 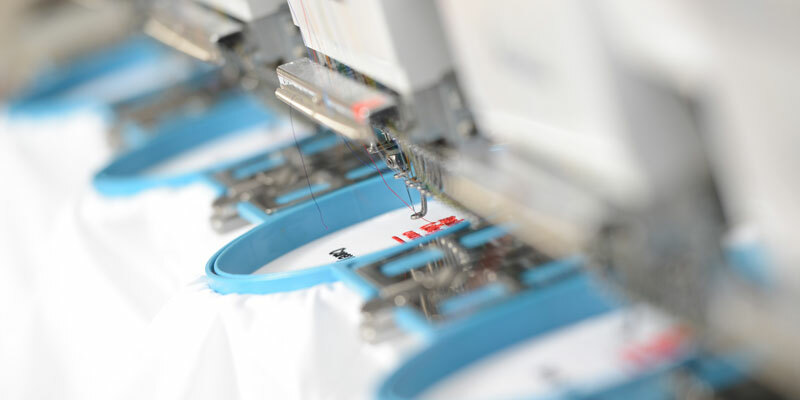 Put your mark on your work uniform or sports kit with our custom embroidery service. Getting your logo embroidered onto your work clothes creates a stronger sense of team identity in your staff. Your clients and customers will also notice the difference - a memorable logo stitched into the uniform of a helpful member of staff will stick in their mind. An embroidered logo also adds an extra feeling of quality to your brand. Embroidery is also great for sports kits, which can be personalised with individual players’ names. Personal items like this also make great keepsakes. Get your free embroidered workwear quote today.